Looking for an intense and brilliant movie? Look no further than Gravity, starring Sandra Bullock and George Clooney. 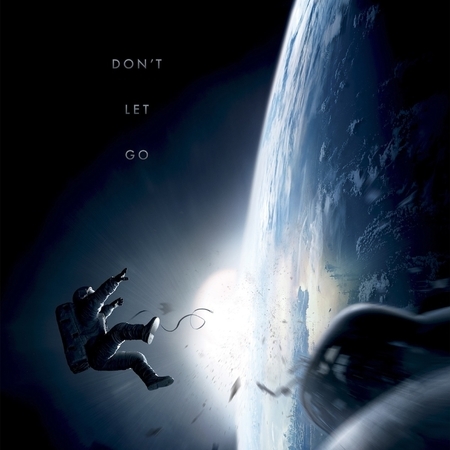 Introduced during the Toronto International Film Festival (TIFF), Gravity is a story of survival in one of the most perilous situations possible — lost in space. As you might imagine, Gravity is a very intense movie and Alfonso Cuarón, Gravity’s director, does a phenomenal job recreating the atmosphere of space in the theatre (pun intended!). One of Alfonso’s tactics for creating tension and a feeling of isolation was stripping the movie of music. It was surprisingly quiet throughout — so much so, that I could hear every word spoken by the child that wouldn’t keep quiet in the row in front of me. Inconsiderate parents! But I digress. The visuals were the best part of the movie, with animation so realistic you quickly find yourself drifting out in space. For full effect, see Gravity in 3D AVX. The acting was superb. I would expect nothing less from Sandra Bullock and George Clooney, elite veteran actors. What was interesting was that, other than a few disembodied voices, they were the only actors in the movie. It’s not everyday that the leading actors are the only actors. The music was primarily a heartbeat throughout the film that added a lot of underlying anxiety. If you were to record the heartbeat of someone watching Gravity, the resulting graph would be very jagged. The plot was very basic, which is why Alfonso made the right choice in restricting the movie’s length to 1.5 hours. Any longer and it would have felt drawn-out. My only complaint is with the overdone religious elements included which seem out of place for what is otherwise a sci-fi / science movie. Overall, this is a movie you definitely want to see, and it is certainly worth seeing on the biggest screen possible. As I mentioned earlier in the post, be sure to catch the movie in AVX 3D and make sure you aren’t sitting next to any children. Next postGoogle X Project Loon — Wireless Internet via Balloon!